Happily Ever Rushed: Happy, Calm and Focused. I was asked to do a review on Happy, Calm and Focused but the opinions are honest and my own. That being said I found Happy, Calm and focused at first to show really no change but after about 5 days I noticed that my energy was better and I did actually have more focus. The nice thing about Happy, Calm and Focused was no nervous and jittery feeling. I have taken previous "fuel" items and was always feeling keyed up. I initially started with one pill per day with a full 8 ounces of water, after a week I moved to two pills and then three per day. I thought this was a great product and the pills had no after taste and I also appreciated that. I take fish oil and feel like I am tasting that a couple of hours later. 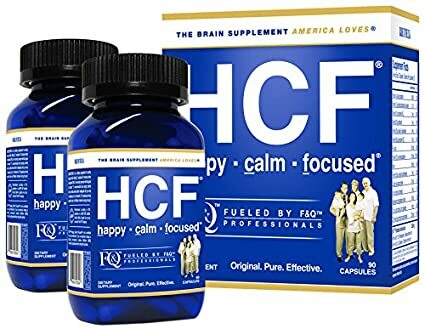 Happy, Calm and Focused is a product I will continue to use. My husband actually started a new shift and wanted to share this with me. We split the bottle and he also felt a difference. The affect is not something you notice immediately but after the first week you notice a difference. I know that my husband and I will continue to use Happy, Calm and Focused. We are believers in the all natural product and this is what you get with the product. If you are like me with a full plate, busy schedule and constantly on the go. Give it a try, you can find the product here on Amazon.